The idea of some sort of a unification of the Italian peninsula was one that long predated the series of wars for Italian independence. Indeed, unification and independence were not the same thing and might not necessarily have been linked. After the downfall of Napoleon and the re-drawing of the map of Europe by the Congress of Vienna, most of northern Italy was handed over to the Austrian Empire of the Habsburgs and their cadet branches of the family. Central Italy was restored to the Pope and the south of Italy was returned to the junior branch of the Spanish Royal Family. However, from the very beginning, there was trouble in the south and Austrian troops had to be dispatched to keep the King of the Bourbon Two-Sicilies on his throne. Between the north and the south, this meant that, fairly early on, Austria was forced to maintain a military force of over 100,000 soldiers on the Italian peninsula to maintain the existing power structure. 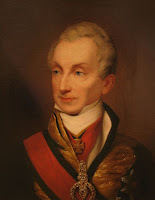 The Austrian statesman, Prince Clemens von Metternich, knew this was unsustainable in the long-term and so proposed to the allies the creation of an Italian federation under the leadership of the King of Lombardy-Venetia, who not coincidentally happened to be the Emperor of Austria. The allies rejected this proposal and the unrest continued, particularly in the south. Metternich feared that this tendency toward rebellion would spread and threaten those areas recently placed under Habsburg rule. In response, he produced the “Troppau Protocols” in 1821 in which Austria, Prussia, France and Russia agreed that any outbreak of revolution would be met by concerted military force to suppress it. It was unlikely that such cooperation was to be forthcoming but Metternich hoped that the statement alone would be enough to convince potential rebels of the hopelessness of their cause and bolster the King in Naples in particular. To his frustration, however, such hopes by Metternich were dashed. That same year, rebellions broke out in both Piedmont-Sardinia and the Two-Sicilies and Austrian troops were dispatched to both to suppress them. In Turin, the rebels did not try to bring down the monarchy but demanded a constitution, which Prince Carlo Alberto gave them, as he had taken control of the government when King Vitttorio Emanuele I abdicated in favor of his brother King Carlo Felice who was out of the country at the time. King Carlo Felice, with his loyal regiments and the Austrians, regained control of the country and restored the absolute monarchy, exiling Prince Carlo Alberto to France. In Naples, Austrian troops suppressed the rebels and restored King Ferdinando IV to power. This, however, only strengthened the hand of the radicals who argued against constitutional monarchy and in favor of radical republicanism. This faction was led by Giuseppe Mazzini who had no use for kings at all and would make great use in his propaganda for every time a monarch on the Italian peninsula granted a constitution at a time of weakness only to revoke it once they had an Austrian army behind them. This set the stage for the wars of Italian unification and independence. The momentum was toward that goal but the question remained whether it would be the radical republicans or the constitutional monarchists who reached the finish line first. The two most prominent monarchs involved would be the King of Piedmont-Sardinia, firstly King Carlo Alberto who came to the throne in 1831 and the Emperor of Austria Franz Joseph who would come to the throne in 1848. King Carlo Alberto, despite his earlier reputation, was a monarch of very traditional leanings and had fought, during his exile, for the legitimist cause in Spain as well as supporting other such legitimist causes elsewhere on the continent. He would give Piedmont-Sardinia (and by extension Italy as a whole in due time) her only monarchial constitution but it would be one that reserved considerable authority to the monarch. Nonetheless, once given, it would not be revoked and that garnered the House of Savoy a great deal of popularity. King Carlo Alberto also had a vision for a united Italy, independent of the Austrians but which would consist of a confederation of Italian princely states under the leadership of the Pope. However, the events of 1848 changed the situation and it became, again, a competition between the Italian nationalists who favored a republic and the Italian nationalists who favored a monarchy. King Carlo Alberto knew that if he did not succeed, Mazzini and his cohorts would. 1834 and 1838 had seen revolutionary outbreaks across Italy but in 1848 revolution began to sweep across multiple countries throughout Europe. In January the Sicilians rose up and overthrew the authority of the king in Naples, by March the Austrian Empire was engulfed in rebellion with uprisings in Milan, Venice, Budapest, Cracow, Prague and even Vienna itself. The regime of Kaiser Ferdinand was suddenly threatened by independence movements by the Hungarians in the east and the Italians in the west. 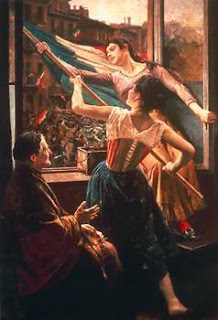 In Milan, after five days of bitter struggle, the Austrian authorities were driven out while at the same time the Austrians were expelled from Venice in an uprising led by Daniele Manin. The Habsburg Grand Duke of Tuscany, the Habsburg Duke of Modena, the Bourbon King of the Two Sicilies and the Bourbon Duke of Parma were all forced by popular uprisings to grant constitutions. Likewise, in Rome, political reforms were demanded of Pope Pius IX who had initially favored the nationalist cause, to the point of liberating from prison and appointing to high office a succession of revolutionaries whom his predecessor, Pope Gregory XVI, had arrested. In Turin, King Carlo Alberto granted a constitution and was urged to take the lead in supporting the independence movement and driving the Austrians from Italian soil. He was very popular with the nationalists though the radical republicans of Mazzini’s faction naturally opposed him as the last thing they wanted was for a king of the most venerable Italian royal house to be the one to secure the unity and independence of Italy. Meanwhile, in Vienna, the Habsburg government was paralyzed and in need of leadership. Kaiser Ferdinand, handicapped from birth, was simply not up to the challenge. 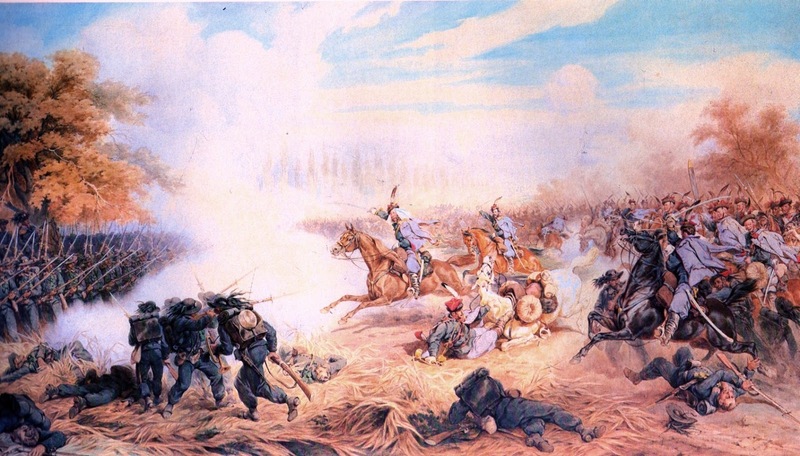 Moreover, the strength of the Austrian military had recently been reduced and now, suddenly, there were disasters in practically every part of the empire that needed to be dealt with so that Austrian military strength was severely overstretched. The one bit of good fortune the Austrians did have was the person of their commander on the ground in Italy; Field Marshal Joseph Graf von Radestky. He may not have been the most brilliant general but he was experienced, extremely competent and, most importantly, unflappable. He kept a cool head in the crisis when panic had gripped everyone around him. 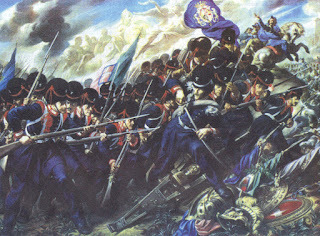 So it was that with only 68,000 troops at his disposal and no immediate prospect for reinforcement for Radetzky that the Italian nationalists saw their chance and men such as Camillo di Cavour, Cesare Balbo and Massimo d’Azeglio urged King Carlo Alberto to take the lead and attack the Austrians before the republicans took control of the uprising. The King agreed and on March 29 led his small but highly proficient army of 28,000 men across the Ticino River with the aim of moving on Milan. With so many of their forces tied down all across Lombardy-Venetia trying to suppress rebellion, for the time being, the Austrian and Piedmontese forces would be about evenly matched. Further, as soon as word came that King Carlo Alberto had crossed the frontier, nationalist support for the Savoy monarchy erupted all across the Italian peninsula. Not wanting King Carlo Alberto to claim all the glory of liberating Italy for himself, Grand Duke Leopold II of Tuscany and King Ferdinando II of the Two-Sicilies likewise dispatched forces to join him in a joint war-effort against the Austrians. Even Pope Pius IX sent his support. The vision of independence and unification by way of a coalition of the princes of Italy seemed to be coming true. Brigadier General Guglielmo Pepe, a veteran of the Peninsular War and the Battle of Tolentino, commanded the Neapolitan contingent and, even more surprisingly, the Piedmontese and former Mazzinian General Giovanni Durando was given command of the Papal army by Pius IX. Altogether, a combined force of 100,000 Italian soldiers was moving or set to move against the beleaguered Austrians in the north. With such a force arrayed against them, the Austrian position seemed doomed. Any other commander would likely have lost his nerve but not Graf Radestky. He ordered his subordinates to fall back even as he pulled out of Milan. Yet, this was no disorderly retreat. Austrian commanders threatened horrific retaliation to remote areas of Lombardy-Venetia if any disturbances occurred, frightening most into taking no action. Radestky concentrated his forces in the Quadrilateral, the area within the fortresses of Verona, Mantua, Legnano and Peschiera. This would permit the Italian coalition no weak area to exploit. Thanks to the calm determination of Radetzky, the Austrians would soon discover that their position was not so vulnerable as it seemed. On March 29, to great public fanfare, King Carlo Alberto entered Milan at the head of his troops. He marched on and his army pushed the Austrian rearguard across the Mincio River. 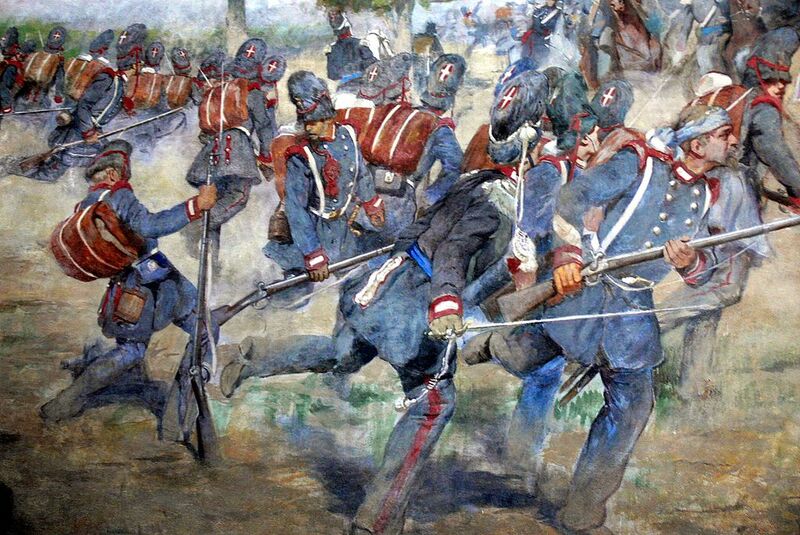 The Austrian withdrawal caused the Piedmontese to push ahead before their allies from the south had arrived. Durando and the Papal Army was still south of the Po, Pepe and the Neapolitans were further north and the division from Tuscany was still on the march. King Carlo Alberto, seeing the Austrians retract, was determined to keep up the pressure on them and push forward, crossing the Mincio in mid-April toward Verona. On April 30 he met the Austrians at the Battle of Pastrengo and won a solid victory. Peschiera was besieged and the King was still pushing forward toward Verona. Graf Radetzky was finally compelled by this to take action and do something to take the initiative away from the Italians. An Austrian contingent was ordered to strike out from the city and on May 6 they administered a sharp sting at Santa Lucia that forced King Carlo Alberto to divert to the southwest of Verona, to Villafranca, to wait for further Piedmontese reinforcements and his allies from the south to join him. At first, pan-Italian support only seemed to grow as the fight was underway. Nationalist sentiment in Parma and Modena forced their dukes to join the war effort. However, at this same critical moment, the expected help from the more significant states began to fall away. Tuscany remained pledged to the Italian cause but seemed unwilling to actually engage. Pope Pius IX suddenly sent an order to Durando forbidding him to cross the Po River, causing considerable bewilderment and likewise the commitment of King Ferdinando II of the Two-Sicilies seemed to fade away as April passed. A republican coup tried to unseat the King in Naples and disrupt the royal coalition. They failed at the first goal but succeeded in the second. King Ferdinando retracted the constitution he had earlier granted and recalled his army. General Pepe refused to go but most of the Neapolitan troops abandoned him. The remainder joined with the forces from Tuscany standing watch around Mantua. As for the Papal Army, General Durando argued with the Pope over his sudden about-face and finally simply disregarded the order and took his army across the Po anyway in an effort to cut off Radetzky from Venice. Unfortunately for the Italians, Durando did not coordinate with King Carlo Alberto in these operations but the Austrian response of Graf Radetzky was, by contrast, extremely well coordinated. Field Marshal Lieutenant Count Nugent was dispatched with 16,000 men to stop the Italian advance in Venetia, hitting Durando at Cornuda and forcing him back to Vicenza. Throughout June, Durando and the Papal Army would remain there, surrounded by Austrian forces. This allowed Radetzky freedom to maneuver and while the Piedmontese remained at Villafranca, the Austrians flanked them with a march to Mantua. On May 29 they defeated the small contingent of troops from Tuscany and the 2,000 Neapolitan soldiers who had not abandoned Pepe at Curtatone-Matanara. Radetzky then moved his men from Mantua along the west bank of the Mincio with the aim of cutting off King Carlo Alberto from Piedmont. Unfortunately for the Austrians, King Carlo Alberto spotted this move and immediately grasped the enemy plan. He moved quickly to attack the Austrians while they were on the march and at the Battle of Goito on May 30, the Italians were victorious. Peschiera fell on the same day. The Savoy star was still shining brightly, however, the situation was far from favorable. What little support that had been available from Tuscany, Naples and the Papal States was now completely gone and even with the many volunteers from across Lombardy and reinforcements from Piedmont, King Carlo Alberto had only 75,000 men which would be insufficient to launch a major offensive into Venetia or to mount a proper siege of the fortress cities of Mantua or Verona. King Carlo Alberto had no option but to remain at Villafranca and watch. At the same time, unflustered as usual, Graf Radetzky was methodically carrying on and was also finally receiving reinforcements from the rest of the Austrian Empire. The window of opportunity of Austrian weakness had closed on the Italians and Radetzky was able to launch a serious offensive of his own, descending on the Italians with two armies at the Battle of Custozza . This was the climactic engagement of the war, 33,000 Austrians against 22,000 Italians and the Italians fought valiantly against superior forces for three days from July 23-25. However, in the end, the Italians were forced to retreat. Yet, it was a fighting retreat, the Italians fell back in good order, continued to give resistance until disengaged, abandoned no equipment or anything of the sort. They had also inflicted considerably higher losses on the Austrians than they had suffered and the Austrians had not been able to decisively destroy the Piedmontese army. 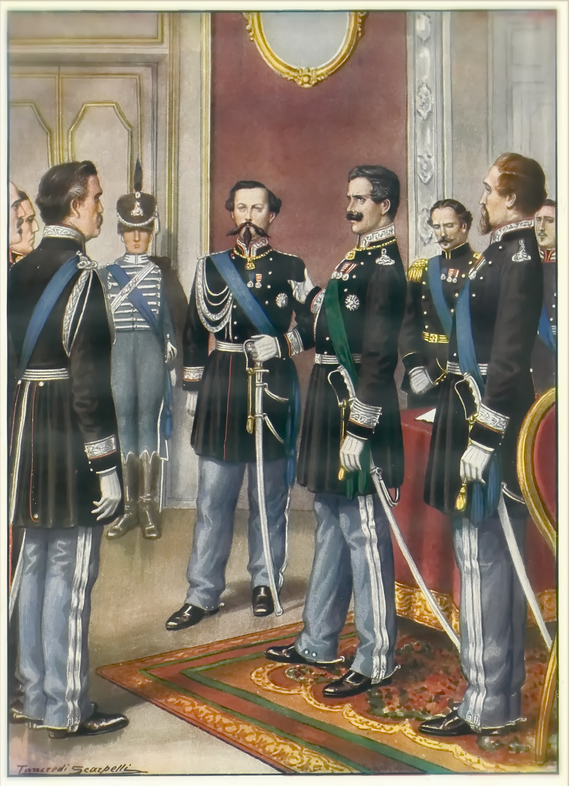 All the same, King Carlo Alberto would not waste the lives of his men needlessly and knew that without the whole of Italy standing together, he could not defeat the Austrians who would only grow stronger as his own forces grew weaker. 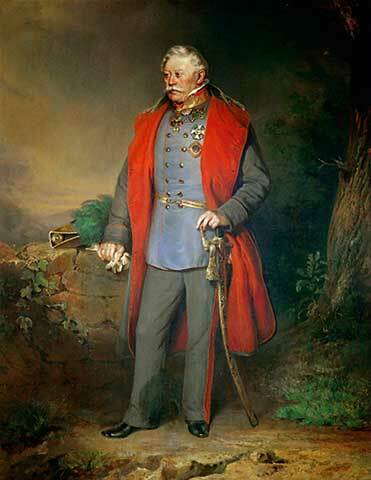 The King had seen a chance but that chance was now gone and on August 9 he agreed to an armistice with the Austrians. In due course the Piedmontese abandoned Lombardy, returning to their own territory and the First War of Italian Independence came to an end. The following year, King Carlo Alberto did, briefly, attempt another effort but it was a short-lived disaster and, proud man that he was, this resulted in his abdication in favor of his son who became King Vittorio Emanuele II. For the Austrians, the war had been one crisis among many. 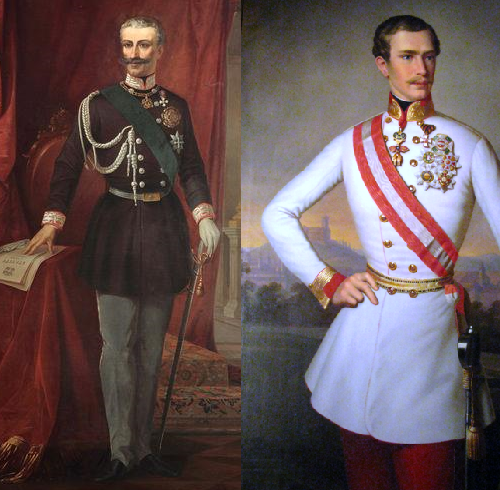 They had gained a new monarch in the young and determined Kaiser Franz Joseph, more laurels for a genuine war hero in Graf Radetzky and though they had come close enough to disaster to look it directly in the eye, that disaster had been averted and the Austrian Empire would survive, though ultimately concessions would be made to the Hungarians. Nothing of the sort would be forthcoming for the Italians however who continued to be ruled in the same manner that they had been before. The Kaiser even became somewhat cross with his younger brother, Archduke Ferdinand Maximilian, when, as Viceroy of Lombardy-Venetia, he attempted to win over the Italians rather than flog them into submission. 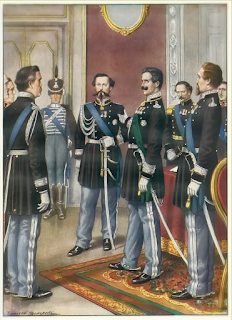 There was even talk that the Archduke himself entertained thoughts of uniting the Italian peninsula himself. He was soon put in his place and made no more than a ceremonial figure so that he began to look toward Mexico for a place to prove himself. In short, despite coming so close to defeat, the Austrians were determined to change nothing in regards to Italy. As for the Italians, the First War of Independence was a major turning point. It represented the one and only time that the monarchs of the existing Italian states, no matter how enthusiastically, came together in common cause as one Italian people. The fact that this fell apart almost as soon as it came together meant that the vision of the more traditional nationalists of an Italian confederation of princely states would not come to be. Going forward, it would be the republicans or the House of Savoy alone who would have to see foreign rule ended on the Italian peninsula. The Savoy would take the lead, initially quite reluctantly, to prevent the republican vision from becoming reality and in the end even many republican nationalists would be swayed to the monarchist side because the Savoy had a record of success and the republicans had only a succession of failures. It would take at least two more wars before Italy was completely independent of foreign rule but the First War of Italian Independence clearly illustrated who would lead them and how they would be fought.